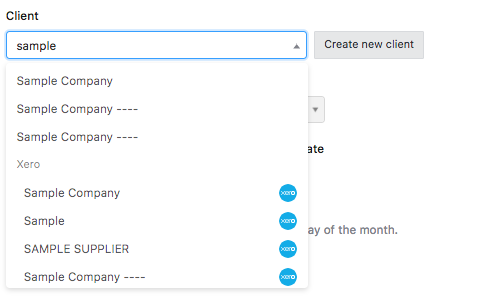 If you have Xero connected to Practice Ignition, you can select any existing Xero contact when creating new proposals. You'll see the Xero logo to the right of all imported clients. The Xero contact information will copied over to Practice Ignition to create a new client. 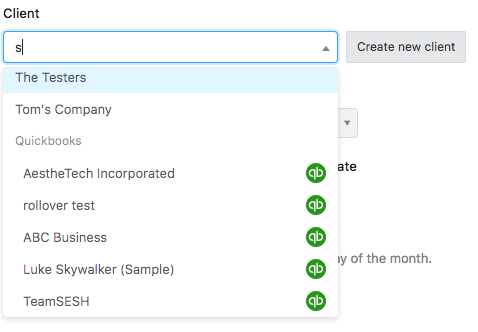 If you have QuickBooks Online connected to Practice Ignition, you can select any existing QuickBooks customer when creating new proposals. You'll see the QuickBooks logo to the right of all imported clients. The QuickBooks customer information will copied over to Practice Ignition to create a new client. If you have XPM or WorkflowMax connected to Practice Ignition, your client base from XPM will be brought into Practice Ignition as "Leads". There is a 2-way sync of the data, so any changes in Practice Ignition will be brought across to XPM and vice versa. Please note that when it comes to tax numbers (e.g. TFN in Australia), this information will not be imported into Practice Ignition. Entering these details in Practice Ignition will also not sync back to XPM. When a lead is created in Practice Ignition, their details are not sent to XPM until they have accepted a proposal through Practice Ignition. Upon accepting their first proposal through Practice Ignition, the "Lead" will turn to "Active" in Practice ignition and the lead's status in XPM will be updated to "Client". See our article on importing clients to learn how to import client data from a spreadsheet.